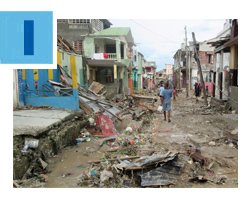 The Greater Miami Jewish Federation has established an Emergency Relief Fund to assist those affected by Hurricane Matthew in Haiti and other communities. One hundred percent of this Jewish response to Hurricane Matthew will provide critically needed aid to those in Haiti and other areas. We will continue to monitor the storm and assess its impact so that we can provide immediate assistance to those affected. To donate to our relief efforts, please click here. 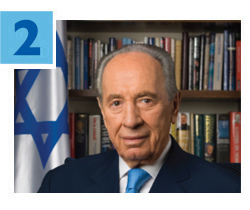 Due to Hurricane Matthew, the Community Memorial Service for Israeli President Shimon Peres, of blessed memory, has been rescheduled for Thursday, October 13, at 7 p.m. at Aventura Turnberry Jewish Center, 20400 Northeast 30th Avenue, Aventura. The program is being convened by Federation and its Jewish Community Relations Council in partnership with the Consulate General of Israel in Miami and the Rabbinical Association of Greater Miami. For more details, please contact the Greater Miami Jewish Federation’s Jewish Community Relations Council at 786.866.8486. Join hundreds of women for an inspirational and empowering Women’s Event featuring guest speaker Debra Messing on Friday, November 18. 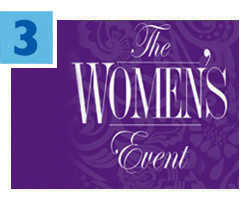 Chaired by Corey Feinsilver, this Women's Philanthropy event will take place at the Hilton Miami Downtown, 1601 Biscayne Boulevard. Brunch buffet begins at 9:30 a.m. The program will start promptly at 11 a.m. and concludes by 1 p.m. Click here for details and to RSVP now. The High Holiday season is the time when we remember those who have had a significant impact upon us, especially those loved ones who are no longer with us. 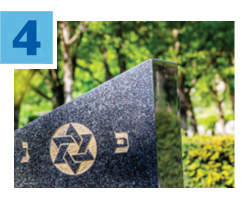 Join Federation’s Mishkan Miami: The Jewish Connection for Spiritual Support at a special communal memorial service on Sunday, October 9 at four local cemeteries. This tradition, called kever avot (“graves of our parents”), is an opportunity to raise, remember and celebrate the souls of those who have passed. Community rabbis, cantors and chaplains will be present to provide support and distribute prayer cards to be used when visiting the resting place of your loved ones. Miami’s people-to-people partnership with Yerucham, Israel, recently celebrated another success when the Center for the Advancement of Jewish Education (CAJE), a Federation subsidiary agency, hosted a group from the Yerucham Science Center. Ido Frommer, head of the Center, along with two members of the award-winning Yerucham Robotics team, spent a week training and mentoring teachers from Hebrew Academy (RASG), Lehrman Community Day School and Scheck Hillel Community School. 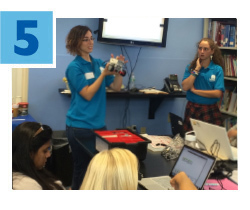 The group of six teachers will integrate their new robotics knowledge into their school’s curriculum, which will focus on teaching third-graders how to complete space mission challenges using Lego EV3 and Space Challenge sets. At the end of the academic year, the three schools will hold a competition and robotics festival. Read more.